The Pentagon's Missile Defense System is working on plans to develop a high-altitude, long-endurance drone armed with a compact, electrically powered laser capable of shooting down ballistic missiles. 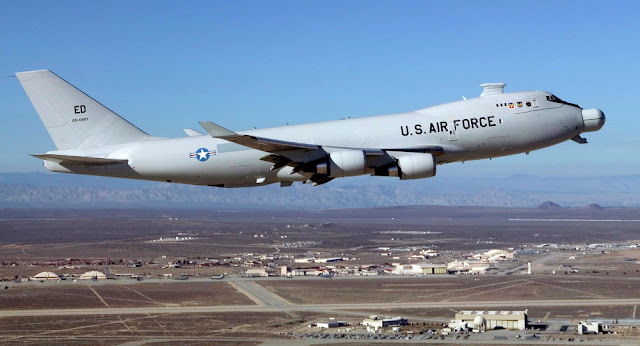 The original Airborne Laser Testbed (ALTB) was a Boeing 747 with a crew and tanks of toxic chemicals to generate power. That Pentagon mothballed the aircraft in 2012, after more than 15 years of development. Now the Pentagon is taking the ALTB off the shelf with the plan of implementing the technology in an unmanned drone. Despite the updated plans, the technical and tactical challenge remains the same: building a laser-armed aircraft that can shoot down ballistic missiles at their most vulnerable – boost phase, just after launch – without having to fly so close it would get shot down itself, Breaking Defense reported. When the ALTB was first proposed, many unanswered questions existed. Regardless, the Missile Defense Agency went ahead with development, according to Frank Kendall, the Pentagon's procurement chief. This time around, the Missile Defense Agency will take an "incremental, step-wise, knowledge-based," said MDA director, Vice Admiral James Syring. "It is a very different approach than we did in the past of just leaping to something and investing everything we had," he said. MDA will conduct experiments and review alternatives until 2018-2019, when Syring said it will pick "which technologies we think have the most promise." Then a "low-power laser demonstrator" will fly circa 2021, Breaking Defense reported. "If it had been easy we would done it by now," Syring said. "But given the rapid progress in laser technology, it's not a huge reach." "There's a lot of work that has go on," he continued. In the traditional "crawl, walk, run" scheme, "we're in crawl mode at this point, but that doesn't mean we should stop. Mark Gunzinger, a laser expert and advocate at the Center for Strategic and Budgetary Assessments, said the technology for a laser-armed unmanned drone is within five years of being developed. "I think the most important point may be that MDA's concept is not the 'return of the ABL,'" Gunzinger said in an interview with Breaking Defense. "MDA's concept would take two maturing military technologies – unmanned systems and directed energy – and combine them to create a new weapon system that takes advantage of the attributes of both."